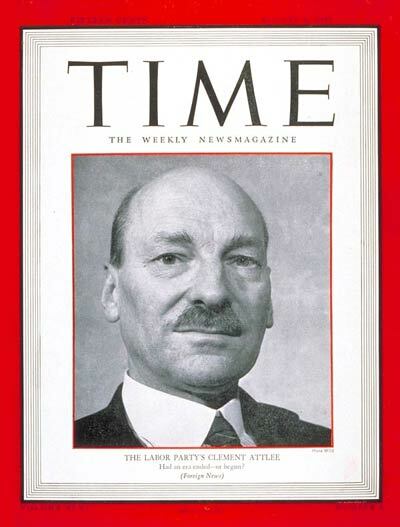 Clement Attlee died 50 years ago on 8 October 1967. Attlee Remembered is a weekend of film, discussion and theatre that celebrates the man, his life and the domestic achievements of his 1945-51 Labour Government. Sands Films Studios is in historic Rotherhithe, close to the riverfront from where the Mayflower set sail. A beautiful Georgian building housing its cinema, theatre and extensive local archive, Sands Films is a three minute walk from Rotherhithe overground station, which itself is well served by both underground and overground lines. (More below). Over the past few years we have seen more and more references to Clement Attlee in relation to Jeremy Corbyn and, prior to him, Ed Miliband. This is all to the good, as Attlee has always been eclipsed by Churchill and Attlee is far from being the household name he should be. The wider public (especially younger generations) – in as far as they have heard his name – will have no comprehension of the relevance and timeliness of his story: as a Mayor, as MP, as deputy wartime leader, as Prime Minister and the fact that he remains (despite many attempts to remove him) the longest serving Labour Party leader (1935-55). Clement Attlee’s government shaped our society for seven decades to come. How do we want the next seven to seventy years shape up? How do we prize and protect the notion of ‘generosity towards the future’ so powerfully embodied in the Attlee administration? Never been to Rotherhithe before? Here are some of the BRILLIANT things to see on Sands Films doorstep. Make a day of it! The goal of our Attlee Remembered weekend is to better know, appreciate and value the enormous contribution made by Clem Attlee to British society, right up to the present day, through the implementation of the most wide-ranging set of radical domestic policies which subsequently transformed British society after 1945 under his leadership. We hope to give confidence and courage from the lessons of the 1945-51 administration – that inequality, widespread poverty, broken public services, housing crisis and disaffection with the old-guard political class can be overcome – again. It was overcome in 1945 by Attlee and an administration that went on to lay the foundations of a progressive society for the next seven decades. Our new Attlee Nation project is, more generally, a way of expressing and exploring a progressive counter to the notion of ‘Thatcher’s Children’. Both 1945 and 1979 were hugely important ‘fork in the road’ elections where the election result would go on to bring about profound social change. Both leaders, Attlee and Thatcher, clearly in very different ways, were to redefine the terms of reference for the role of government, public services, the welfare state and utilities for decades to come. But the foundations laid by Attlee and his government were built upon – not destroyed – by the next 13 years of Tory government. After that, the legacy continued with Harold Wilson – Attlee’s President of the Board of Trade at the age of 31. The Wilson-led Labour Government of 1964-1970 continued the progressive domestic policy – more housing; they rolled out comprehensive education and created the Open University. Under the first Wilson government, for the first time in British history, more money was allocated to education than to defence. They liberalised laws on censorship, divorce, abortion, and homosexuality; abolished capital punishment; and crucial steps were taken towards stopping discrimination against women and ethnic minorities. However, now in 2017, we are witnessing crushing cuts to health, housing and education thanks to the neoliberal policies ushered in by the Thatcher-era and which have become globalised. After four decades of the gradual erosion of the very services Atlee fought his whole life to defend, it seems as if we are in much the same struggle today, as Attlee of the 1920s-1940s. Attlee, according to an IPSOS-MORI poll of historians and political scientists (2004) was“the twentieth century’s greatest prime minister’. Yet most of us have but a sketchy knowledge, if that, of the man who pushed through a programme that transformed our lives and our society – for the better. Find out more about Attlee. All these were accomplished while servicing the unprecedented public debt accumulated as a result of the second world war. Between July 1945 and October 1951, the Attlee government oversaw the creation of the NHS; one million homes built; 1000 schools built & 25,000 new teachers; introduced fair wage and employment conditions; introduced child benefit, disability benefit, social insurance, sickness pay, maternity pay; and created National Parks and Areas of Outstanding Natural Beauty in England and Wales, giving the public rights of way and access to open land.